New Miami-Dade Ordinance and Updates to FinCEN Reporting Requirements – Ira R. Shapiro, P.A. The Miami-Dade County Board of County Commissioner recently adopted an Ordinance, which requires additional disclosures in contracts and deeds for properties that are subject to a special taxing district. Many properties in Miami-Dade County are subject to special taxing districts, which are the items that are usually the basis for the Non-AdValorem portion of the real estate tax bill. If you take a look at the Property Appraiser’s website, you will see a breakdown of the tax bill, and in many cases you will see both AdValorem taxes and Non-AdValorem taxes. The Non-AdValorem portion is typically for a special taxing district. For example, in portions of Skylake and Highland Lakes where guard gates were constructed, a special taxing district was established to collect money from homeowners on their annual real estate tax bills to pay for the guard gates. Miami-Dade County now requires that every contract include a disclosure that acknowledges any such special taxing district. The disclosure language should be included in the contract, but in situations where it is initially overlooked, it can subsequently be added as an addendum or amendment to the contract. When you are preparing a Contract, you should check the Property Appraiser’s records for the property to see if there are any Non-AdValorem taxes for special taxing districts. See Exhibit “A” to this letter for an example of a Non-AdValorem special taxing district. If there are any such special taxing districts, then the following disclosure should be added to the contract. THE PROPERTY WHICH IS THE SUBJECT OF THIS TRANSACTION IS LOCATED WITHIN __________________ SPECIAL TAXING DISTRICT CREATED BY MIAMI-DADE COUNTY (OR PROPOSED TO THE COUTNY COMMISSIONERS) FOR THE PURPOSE OF PROVIDING LOCAL IMPROVEMENTS AND SERVICES IN THE NATURE OF ___________________. THE COST FOR PROVIDING SUCH IMPROVEMENTS AND SERVICES SHALL BE PAID BY SPECIAL ASSESSMENTS LEVIED AGAINST PROPERTIES WITHIN THE DISTRICT. SAID SPECIAL ASSESSMENTS MAY BE COLLECTED AT THE SAME TIME AND IN THE SAME MANNER AS AD-VALOREM TAXES. This new Miami-Dade County Ordinance also requires that a similar disclosure be included on the deed, and that the buyer sign that disclosure as part of the deed. It will be the responsibility of the closing agent to make sure that an appropriate disclosure signed by the buyer is included with the deed. This will require the closing agent to have the deed prepared and circulated in advance, especially where it will be a mail away transaction for the buyer. **The effective date of this new requirement has been delayed, so it is not yet applicable. 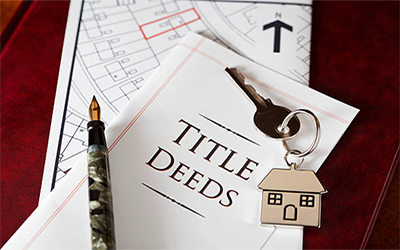 The Federal law regarding information gathering on real estate transactions has been updated and expanded to require closing agents to obtain and submit to the U.S. Department of Treasury certain information regarding specific real estate transactions. The reporting requirements do not apply to every transaction, but they now apply to more transactions than was required under former law. In those situations where it is applicable, the Federal Bank Secrecy Act requires every closing agent to collect and submit certain information from the buyers. Some of the information that is required may appear to be of a confidential or private nature, but where it is required, buyers are obligated to provide this information to comply with federal law. This is also a contractual requirement as referenced in paragraph I (iii), on page 9 of the FAR/BAR AS IS Residential Contract for Sale and Purchase. I am bringing this matter to your attention so that you are not surprised whenever additional information is requested from any of your buyers, and so that in the event any buyers complain about having to provide any such information, you can explain that federal law requires their compliance. If you have any further questions regarding this matter, please feel free to contact me or my associate, Baylee. As many of you are probably already aware, there has been a growing problem over the last couple of years where people are hacking into email accounts of attorneys, title companies and realtors. These people will find out about ongoing real estate transactions, and then create phony email addresses that look substantially the same as the email addresses of the parties to the transaction or to the attorneys, title companies or realtors who are involved in the transaction. Often times these people create an extensive email dialogue, which makes it appear as if they are actively involved in the transaction. In other cases, they simply send out brief emails with fraudulent information. The most dangerous thing that these people will do is to send to buyers or closing agents false and fraudulent wire transfer instructions. If the buyers or closing agent are not careful, they could end up sending money to the wrong party, which would cause major problems for everyone included in the transaction. As a result of the forgoing problem, it is critical that when you communicate with your buyers or with anyone to whom wire transfers are involved, that you advise them that it is imperative for them to verbally confirm the wire transfer instructions with the party to whom the wire is to be sent. Wire transfer instructions that are sent by email, and which do not include the signature of the party requesting the wire transfer instructions, should never be accepted, unless verbal conformation is made with the party who you can verify to be the proper person to provide those wire transfer instructions. I try at every opportunity where wire transfers are discussed to emphasize the importance of verifying wire transfer instructions before effecting a wire transfer. I would urge you to do the same, since the risk to everyone involved in the transaction is serious and significant.